dear sir,I have a plot of 15 front and 32 depth north facing, pl provide me a map as per vastu. 15*30 ka mera makan hai east face . Makan me sidi kaha per banau our 1st floor ka design send karo Na . Is picture m staircase kase desine kiya h plz send staircase plan . 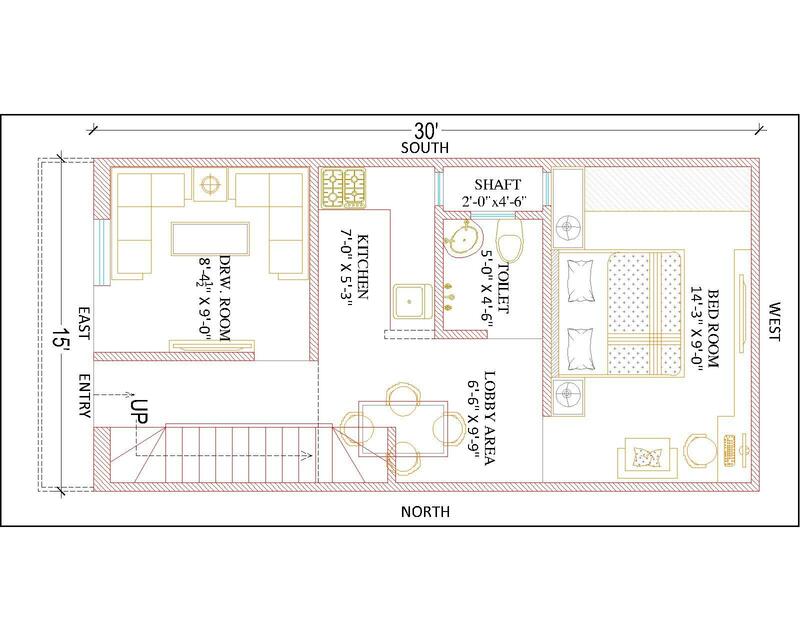 i am looking for 3 or 4 bhk house plan with one bedroom on ground floor along with kitchen hall bathroom and other bedroom on upper floor plzz help me in this. this is very bad as per vastu, toilet should not be in center.